If your summer wouldn’t be complete without burgers, you’ve got to try Easy Bunless Burgers with Cilantro Dill Mayo Sauce! This is the easiest bunless burger recipe on the planet, kicked up a notch with a quick herby sauce. 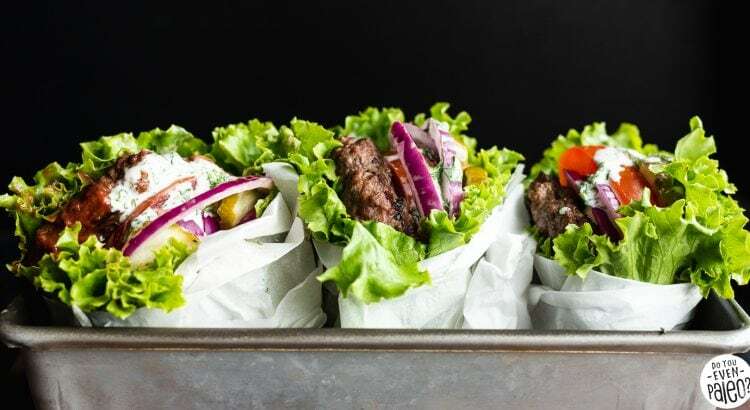 As with most things in life, don’t let the simplicity fool you—these lettuce-wrapped burgers are nothing short of amazing! 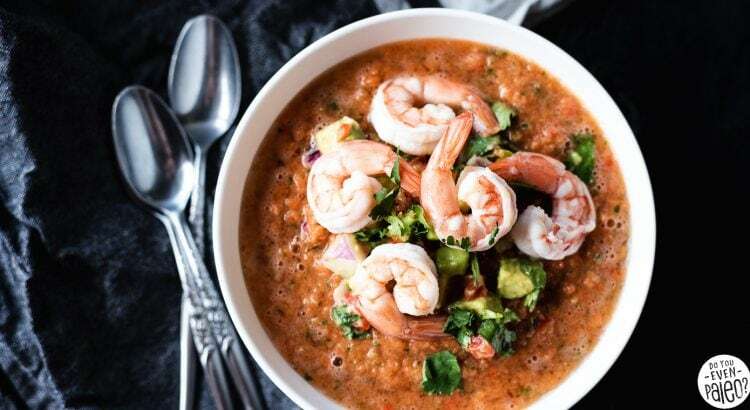 Chill out during the hottest days with fresh, summery Shrimp Gazpacho with Avocado Relish! Never had gazpacho? No worries. I hadn’t enjoyed it until crafting this recipe, either. Essentially, gazpacho is a cold soup made of raw blended vegetables. Whole30 and paleo gazpacho makes a refreshing, cooling meal on hot summer nights! I’ve got something sweet and spicy for you today: Mango Habanero Wings! Making your own Whole30 mango habanero hot sauce is way easier than you might think. If you’ve got a good blender on hand, you’re ready to tackle this recipe! 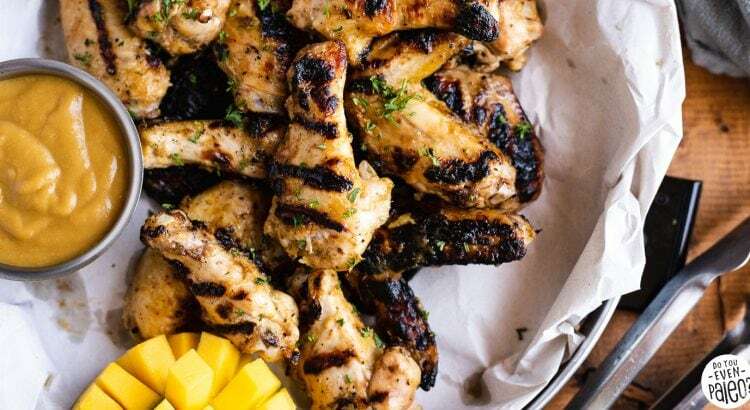 Spice up your summertime meals with this Greek-Rubbed Grilled Chicken Thighs Recipe! 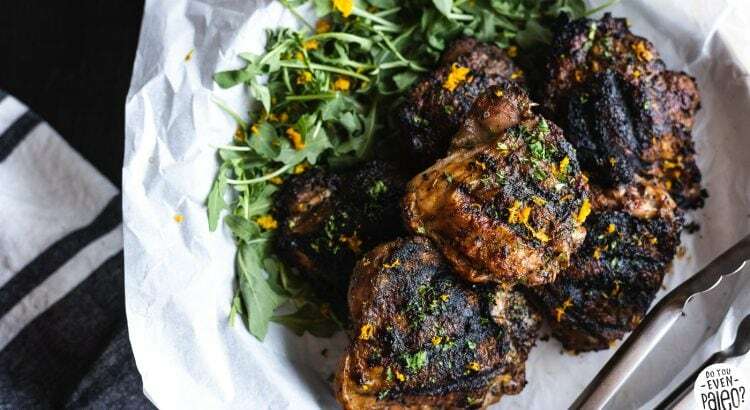 This dead-simple greek spice rub makes amazing Whole30 and paleo grilled chicken thighs. 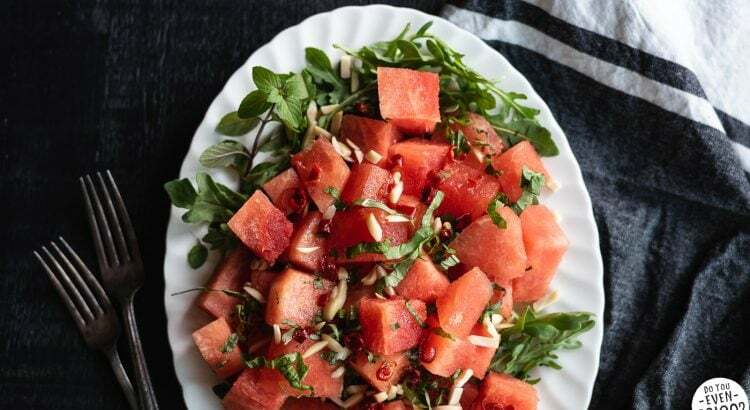 Watermelon Arugula Salad with Chili Honey Lime Dressing tastes peppery and sweet, making it a wonderful salad for summer. Of course, this salad is gluten free and paleo, with a Whole30-friendly option.